Betsy is a senior studying Materials Science Engineering and minoring in Multidisciplinary Design. She is a project lead on The Initiative, a team which designs heated bassinets for underweight infants in Ethiopia. Currently she assists with the characterization of entropy stabilized oxides and has previously worked on a capillary angiogenesis project in the CSET Laboratory at the University of Michigan. When not logging impressive study marathons in the basement of the library, Betsy enjoys skiing, backpacking, and attempting to delicious food on a college budget. New publication! – Neal Reynolds, Priyamvada Jadaun, John T. Heron, Colin L. Jermain, Jonathan Gibbons, Robyn Collette, R. A. Buhrman, Darrell G. Schlom and D. C. Ralph, “Spin-Hall Torques Generated by Rare-Earth (Lanthanide) Thin Films” Phys. Rev. B. 95, 064412 (2017). 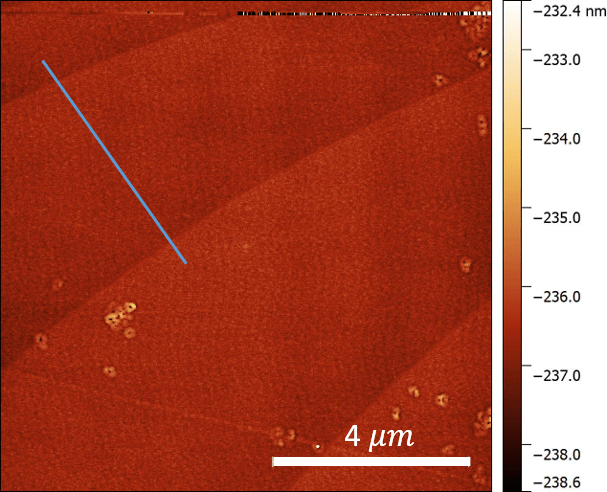 We report an initial experimental survey of spin Hall torques generated by the rare-earth metals Gd, Dy, Ho, and Lu, along with comparisons to first-principles calculations of their spin Hall conductivities. Using spin torque ferromagnetic resonance (ST-FMR) measurements and dc-biased ST-FMR, we estimate lower bounds for the spin Hall torque ratio, ξSH, of ≈0.04 for Gd, ≈0.05 for Dy, ≈0.14 for Ho, and ≈0.014 for Lu. The variations among these elements are qualitatively consistent with results from first principles [density-functional theory (DFT) in the local density approximation with a Hubbard-U correction]. The DFT calculations indicate that the spin Hall conductivity is enhanced by the presence of the partially filled f orbitals in Dy and Ho, which suggests a strategy to further strengthen the contribution of the f orbitals to the spin Hall effect by shifting the electron chemical potential. Nguyen presents a poster at the VEF fellows and scholars conference. Congratulations to Nguyen, who presented her poster “alpha-Cr2O3 Thin Films Grown by Pulsed Laser Deposition” at the VEF fellows and scholars conference in Phoenix AZ. Magnetoelectric materials have been of interest because of their potential for low-power spintronic devices using electric field switching. One possible candidate is antiferromagnetic α-Cr2O3, which possesses an uncompensated surface magnetization. Recent significant results of magnetoelectric switching are mostly done in bulk single crystal α-Cr2O3. In this work, we study the pulsed laser deposition of α-Cr2O3 on Al2O3 (0001) substrate in order to find the appropriate conditions for a smooth and high quality thin film for technological adoption. The heterostructure of Pt/α-Cr2O3/metal is deposited in order to study magnetic and magnetoelectric properties of α-Cr2O3. The Stoner-Wohlfarth Model describes the hysteresis of single domain ferromagnets when an electric field is applied at some angle θ from the easy axis. An interactive python code to quantitatively simulate this hysteresis is available from the depository above. The reciprocal lattice of a crystal represents the Fourier transform of real space lattice and is used to calculate the expected diffraction pattern from X-ray or neutron diffraction. Operations in real space and reciprocal space have an inverse relationship (increasing length in real space decreases it in reciprocal space) which can oftentimes be difficult to visualize. An interactive python code comparing real space and reciprocal space for arbitrary angles and lengths is available at the depository above.